Starting next Monday, January 9, guests strolling down Main Street, U.S.A., will be humming along to some new – and familiar – tunes. For the first time in 20 years, we are once again adding new music to the iconic entrance music of Disneyland park. 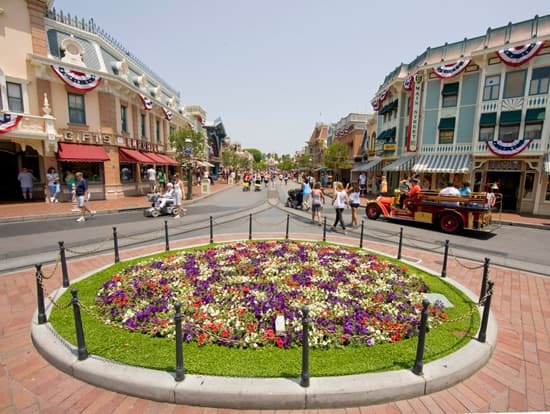 Though there have been many updates over the years, the last refresh of Disneyland’s Main Street’s musical score was back in 1992, when selections recorded for Disneyland Paris were brought back to Disneyland park in California. So the next time you’re ambling down Main Street, U.S.A., keep an ear out for some new – and old – classics! My favorite piece out of the new group is the one from “Up”. The way that it is orchestrated, of course, perfectly fits with Main St.
Also, Main St., at least to me, was always a bridge between the outside world, and the fantasy world that is the other four lands. So, having a piece like this kind of extends that angle. Bring back the Disneyland park music CD burners!! I agree with Pam- I adore the songs from “Summer Magic” and “Happiest Millionaire” (both of which I think should be adapted to the Broadway stage…just saying). These two films have sadly fallen to the wayside and their music on Main Street is a great way to remember and honor them. Disney should also reconsider having performers in pre-WWI garb actually perform these songs LIVE!!! Great news! I love all the showtunes that play, but always thought they could use some additions. Will *all* the old stuff be kept, or are some getting the boot? Erin ~ I have heard the new loop and it is fantastic. Is there anywhere I can find the new songs for purchase? Thanks. Yes, Daniel, I agree! I loved that old system and didn’t get to use it nearly enough. Then it stopped. I always look for the music of the parks as it’s the best memory trigger for me and I LOVE Disney music. I even have some really old ones on VINYL! I would be curious to know if these new tunes might make their way to either CD, or iTunes format? At one time, a handful of years ago, Disneyland had this really awesome system, where you could choose different music from around the park, and create your own CD to take home with you. With the advent of iTunes, this could easily be modified. I am sure that you guys could even negotiate your very own section of the iTunes store. And, not to mention, the countless new other tunes that have come out from that time until now (plus the old stuff!). I am a lover, and collector of Disney theme park music. No doubt, there are others out there also. …Or at least, it seems that MOST of the existing songs WILL still play. So, no, nothing is getting retired. Is there any chance of having live strolling musicians or having them in a gazebo like bandstand in the hub your photograph features as in other Disney parks? Hopefully there will be bands over at Carnation Plaza Gardens playing which my family always enjoys. Especially when guests are dancing. Disney has quite a few Western movies to draw from for Fronteirland’s soundtrack. Love the Paris Disneyland soundtrack based on famouse Western movies and I bought CD’s of many of those PDL soundtracks. Are they keeping “Fortuosity” from Walt Disney’s The Happiest Millionaire on the playlist? Oh great news! The “new” music selections are actually from the era of Turn of the Century Main St. I wish Disneyland sold the various land soundtracks on CD. I love the songs that always play on Main Street! One day, I was at the Magic Kingdom in WDW, and a song started playing. I realized I knew it, and started humming along to it. Then, I realized where I knew it from. I had recently helped out with a production of the play “Music Man”. The song playing was “Iowa Stubborn” from that musical! I was so happy that song was playing, it made my day. And of course, I started singing along. Rather badly, but who can’t sing along when they recognize a song in Disney? Cool News. Oddly enough, Main St. is one of my favourite lands. I always advise first-timers to really spend some time and check out what it has to offer: the Main St. Cinema, Penny Arcade, Disney Gallery, Emporium displays, Lincoln, the DLRR, marching band shows, the Coke Corner piano, and the vehicles. But I’m also skewed because I love the turn-of-the-previous-century time period. “Married Life” from “Up”? Are you trying to make us cry? Will Junk Man Rag be kept on the new playlist? I’m looking forward to the addition of new tracks to the Main Street, U.S.A. Loop. With today’s technology, there’s no need to delete old songs from the playlist. I DO hope the old songs will be preserved. Add me to the list of people that would LOVE to purchase soundtracks, like the MSUSA Loop! These clips are great! My husband and I are both really excited for the addition of the Scott Joplin rag. We love his music! This is a great addition. Maple Leaf Rag is a great addition and reminds of long time Coke Corner piano player Rod Miller. So you said these songs will be “added” to the current Main St. music? Please tell me we won’t be losing the Summer Magic and Happiest Millionaire songs. Having more songs in rotation would be awesome, but I’d hate to lose some of the music I’ve come to associate so strongly with Main St. over the years. Its always great to see Disneyland get refreshed. 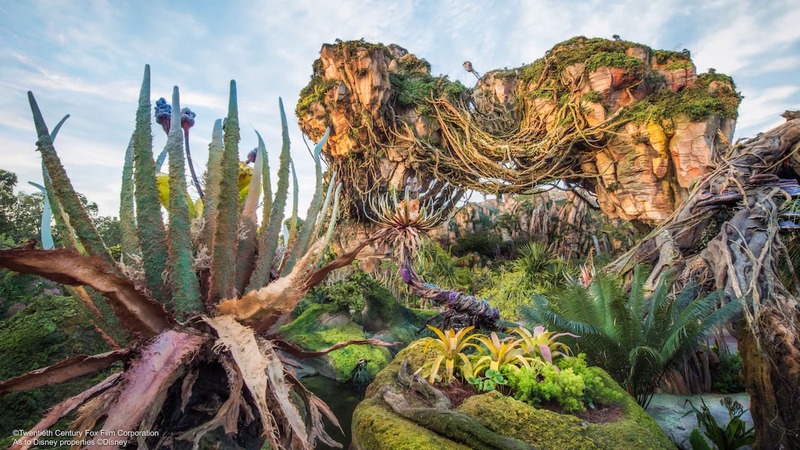 Will this audio be coming to The Magic Kingdom at Walt Disney World? Are any of the existing songs being removed from the playlist? Yeah! I’m so excited for this! I love Main Street music! I am especially excited for the Up music as I also love that soundtrack. PS There isn’t a way to buy the current music of Main Street or find out what the songs are, is there? You would think I would know what the songs are but I don’t… But I would love to know. Sweetness! I love the Main Street Area music! Married Life will be cool to hear! Will this same new Main Street music loop be implemented at Walt Disney World’s Magic Kingdom as well? Currently, this update pertains to Disneyland park only. Wow! Those clips sound great! I was a little worried when I heard the music was changing… I worked on Main Street when I was in the college program and that music kept me moving while I was there… but the new songs sound like they are in the same style as the old ones. I like them a lot! Erin~ Is “Put on Your Sunday Clothes” from “Hello Dolly” still on the playlist? Yes! “Put On Your Sunday Clothes” will continue to play along Main Street, U.S.A.